Ailaka therapeutic close toe stocking provides a wonderful, stimulating energy to empower you more every day! Remove jewelry, use the fingertips to grasp stocking. Place hand inside stocking grasp heel pocket and pull the stocking inside out, up to the heel. Using both hands, place two fingers inside the stocking on each side of the heel, pulling out on each side with equal force. Begin to gently slide the stocking over the toes and foot. Pull over foot until heel pocket is positioned evenly over heel. Position rest of stocking over calf, pull up in small increments smoothing it as you go. Stockings may initially have a snug or tight sensation. Your fitter may suggest a specific wear time each day. If you experienced any discomfort using your garment discontinue use immediately. To prolong the life of your garment, Hand wash with warm water and mild laundry soap or laundry detergent. Use chloride-free bleach. Avoid harsh detergents and softeners that can damage the fabric’s elasticity. Do not twist dry. Gently squeeze away excess water, hang and air-dry. We offer 100% no risk money-back guarantee if you’re not thrilled with your purchase for any reason. Just tell us and we will do our best to give you the most satisfactory solution. Please check our Ailaka storefront for more deals that are awaiting you! What Are You Waiting For? Simply Click “Add to Cart” to order yours now! BEAUTIFUL & COMFORTABLE: Fine yarns for a beautiful sheer look; soft feel for all-day wearing comfort. 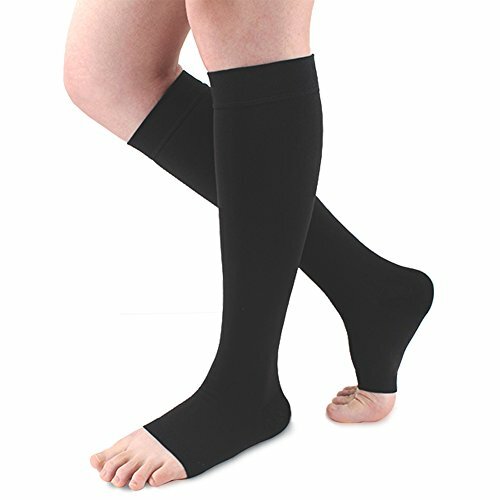 Utilizing specialized fabricating machinery and medical grade fabrics, we are able to create a high-quality compression sock in a great value. Durable and opaque stocking created with therapeutic comfort in mind for both men and women. THERAPEUTIC EFFECT: Therapeutic compression hosiery which promotes blood circulation, helps relieve tired, aching, fatigued legs. 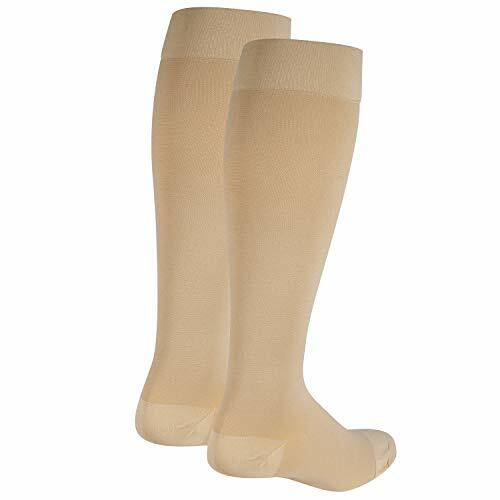 Ideal for treatment of varicose and spider veins, diabetic support, long flights, nurses, maternity, and general swelling or inflammation of the legs and feet. 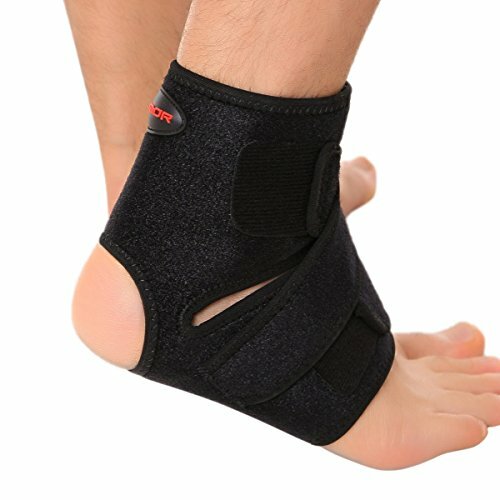 GRADUATED COMPRESSION: The graduated compression provides maximum compression at the ankle with a progressive reduction through the calf promoting blood flow back to the heart.. 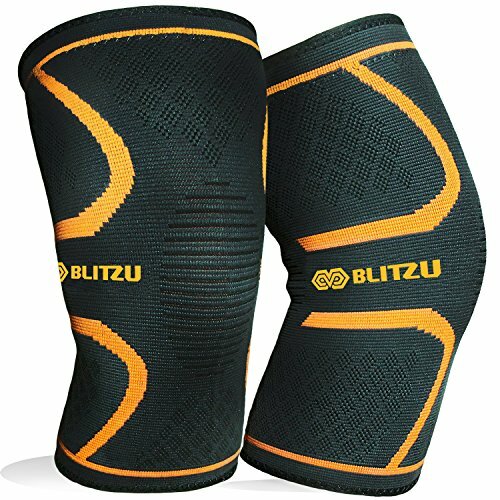 It helps reduce and prevent swelling for the wearer, maintaining positive circulation and leg health. HUMANIZED DETAIL DESIGN: Open toe style allows you get additional “wiggle room”. Reinforced heel is designed for long lasting durability and comfort. Thicker, ultra-stretchy fabric is for donning easily. 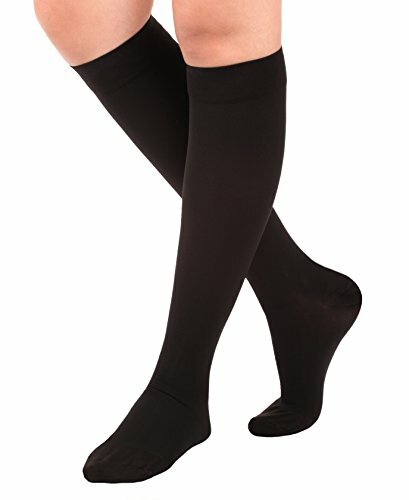 Flexible but snug in wider cuff with elastic band helps the socks remain in place throughout the day. Thicker and smooth-knit stay-up top is designed for wearing comfort. CUSTOMER ARE OUR PRIORITY: We offer 100% no risk money back guarantee if you’re not thrilled with your purchase for any reason. Just tell us and we will do our best to give you the most satisfactory solution. Sizes vary from difference brands. Use the size chart in the picture as a reference. If your measurements are between sizes, go to a bigger size.